Oxley Holding’s Q2 profits fell 33% YoY to $45.24m from $68.02m to extend a downward earnings trend from Q1 where profits sank 83%, an announcement revealed. Revenue also declined 12% YoY to $355.48m from $406.09m. For H1 FY18, profits crashed 54% YoY from $116.77m to $53.29m, whilst revenue slid 27% YoY to $525.78m from $716.72m. The firm attributed the weak performance to lower revenue contribution from its project in the UK. As of 10 February 2019, Oxley had a total unbilled contract value of $3.3b, of which approximately $1.7b was attributable to projects in Singapore and around $1.6b was attributable to overseas projects. 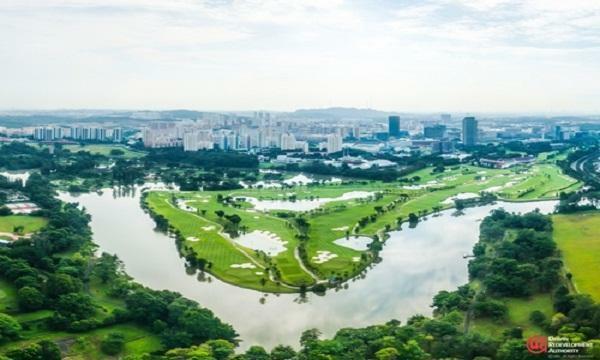 In Singapore, the firm launched eight development projects since April 2018. More than 1,700 units were sold to-date and sales secured amounted to roughly $1.9b. Oxley’s The Verandah Residences, Sixteen35 Residences and Sea Pavilion Residences were 100% sold, the firm highlighted. On 10 January 2019, Oxley accepted a letter of intent for the sale of its Novotel and Mercure hotels along Stevens Road at a consideration of $950m. The Mercure and Novotel Hotels which house 254 and 518 rooms respectively, were acquired by Oxley in March 2013 and occupy a land area of 18,477 sqm. On 28 January 2019, Oxley announced that a letter agreement was entered for the proposed sale of 268 units in Ireland to real estate firm Greystar Europe Holdings for approximately $275m (EUR175.5m). The units are part of Blocks B and E of mixed-use development Dublin Landings located along Dublin’s North Wall Quay. An interim dividend of $0.032 was declared for FY19, the firm stated.